What do In-N-Out Burger, Ace Hardware, Trader Joe’s, Kaiser Permanente, Nordstrom, and Mary Kay have in common? Here’s a hint: none are leading advertisers. Yet all are cherished by consumers over their industry peers. How, then, can companies continue to grow in the 21st century? How can they create new value and innovate fast and flexibly enough to survive and thrive in an increasingly competitive and chaotic global marketplace? By changing the way they do business. Not “mortgaging” their customers but rather investing in customers as active business partners. Companies must maintain an open dialogue with customers to stay relevant in their lives. Continue to build genuine empathy to deliver superior customer experiences. And make people feel rewarded and proud to be customers. Operating in this way represents a fundamental shift for companies. 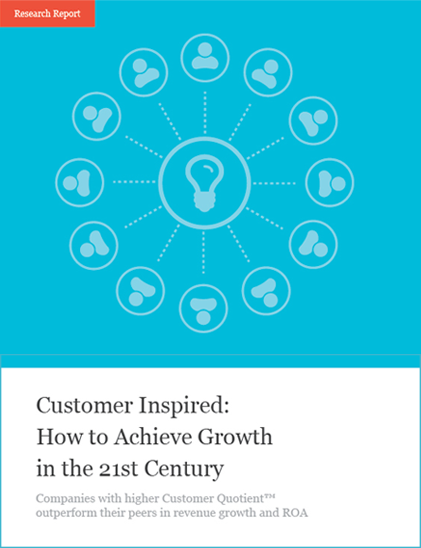 Yet this is what truly customer-centric companies do to adapt, stay profitable, and grow. Manila Austin, Ph.D, is Vice President of Research at C Space. She launched the C Space research department in 2005, bringing with her over 15 years of experience in management consulting and organizational development and 10 years of experience in developing and conducting independent research. As a consultant and researcher, Manila has worked with Fortune 500 companies across many industries. Her doctoral work explored organizational and post-industrial applications of psychology, including career development, leadership, team and group process, organizational learning, and community.